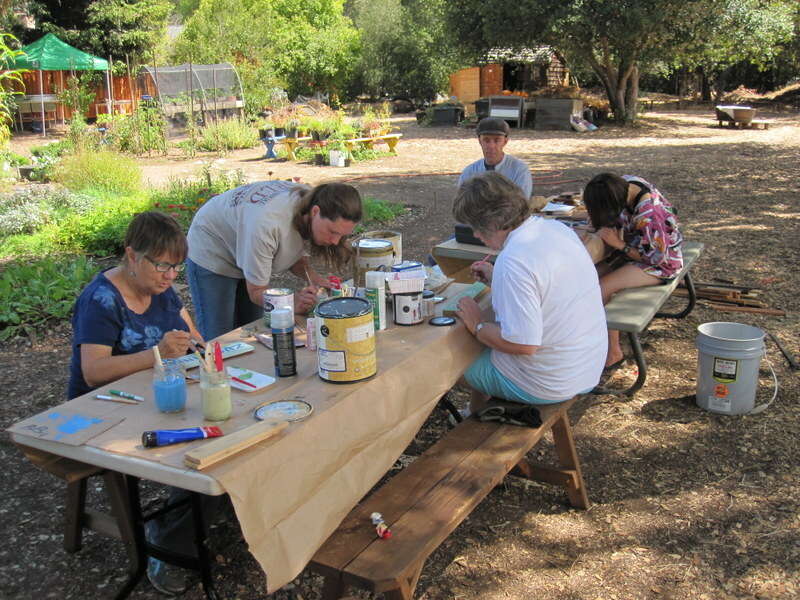 A small group of Transition Palo Alto’s craftiest people congregated at Common Ground Demonstration Garden on the morning of September 13. They met to engage in an act of Craftivism – that is, activism through crafts. 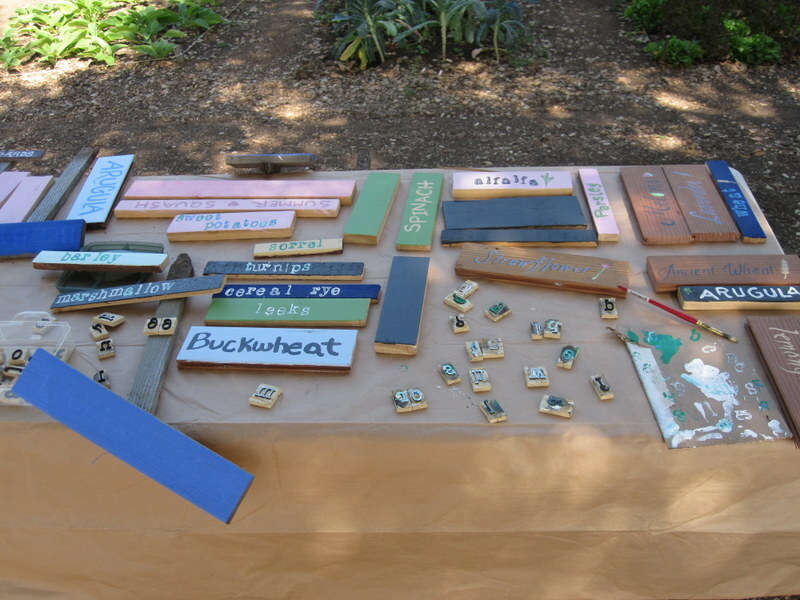 In this case, they painted plant names signs for the garden, so that visitors can know what the wonderful edible plants they are looking at are called. Painting was an activity that allowed for a very social morning, which concluded with a very tasty potluck lunch. There is still some work to do. The new signs need to be attached to uprights and then planted in the proper places. Stay tuned to Transition Palo Alto’s newsletter and Yahoo Group for information on that activity. It would be great to have you join us.